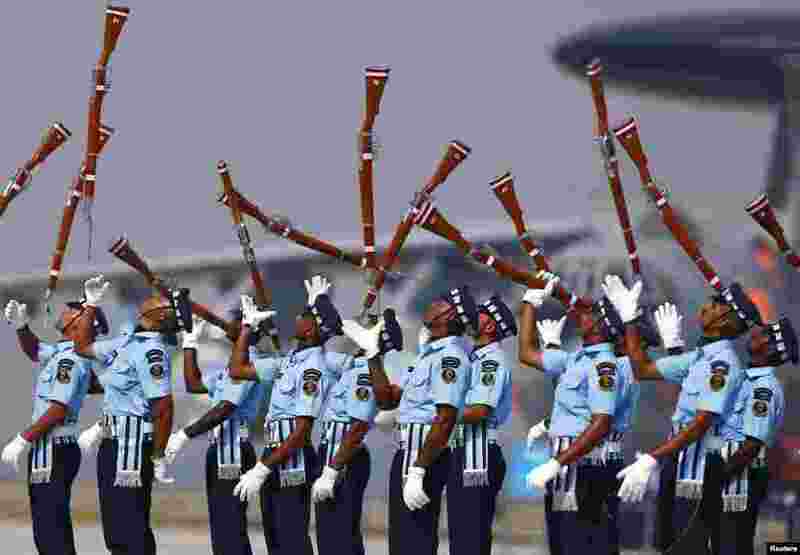 1 Indian Air Force soldiers toss their rifles during the full-dress rehearsal for Indian Air Force Day at the Hindon air force station on the outskirts of New Delhi. 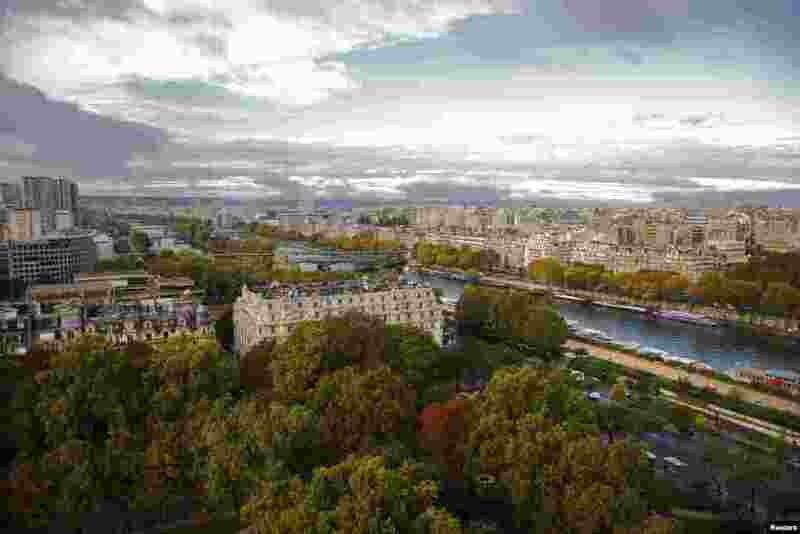 2 Trees start to show autumn colors in an aerial view which shows the Seine River and the skyline in Paris, France. 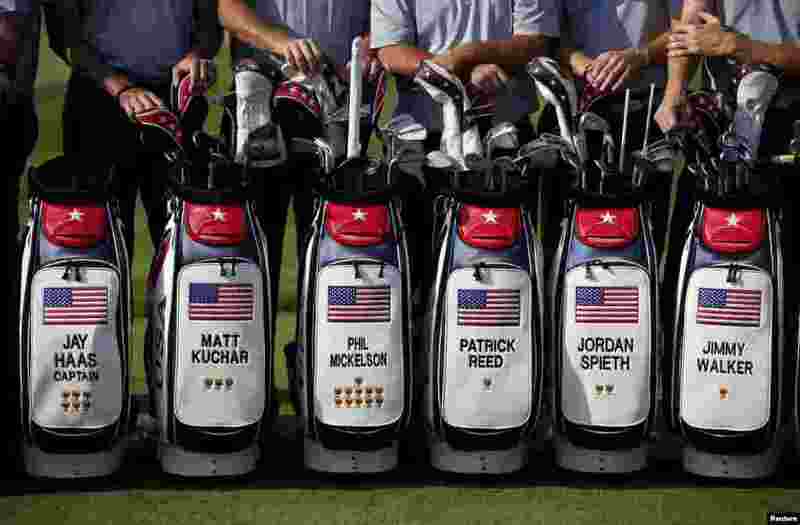 3 U.S. team members pose for a group photo before the start of the first round of the 2015 Presidents Cup golf tournament at the Jack Nicklaus Golf Club in Incheon, South Korea. 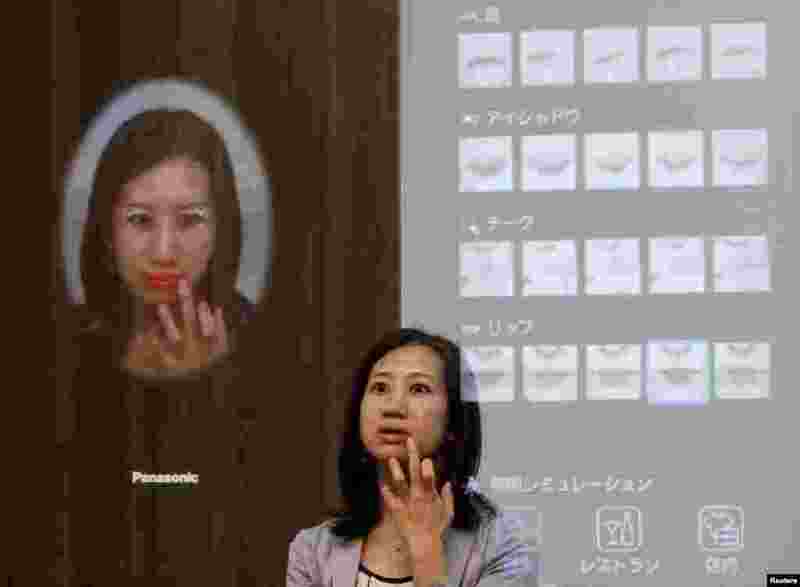 4 A woman is reflected in Panasonic Corp's interactive mirror, which is able to apply virtual makeup and detect skin condition, during a demonstration at CEATEC (Combined Exhibition of Advanced Technologies) JAPAN 2015 in Makuhari, Japan.